There are twelve games tonight and four of them are projected at 8 or more runs. What that means is, these are the games you want to breakdown first, to find the right matchups. Those four games are: ATL/TOR (8), BAL/BOS (8.5), LAA/HOU (9), and CLE/MIN (8.5). For ballpark selections – meaning those parks that are hitter-friendly are: Houston Astros and Toronto BlueJays. The New York Mets is going to be ideal for right-handed bats and the Los Angeles Dodgers will be ideal for left-handed bats. Looking for pitchers you should be able to exploit tonight are: Jeff Locke, Sean O’Sullivan, David Phelps, Nate Karns, Mike Pelfrey, Kyle Kendrick, Jake Peavy and Jered Weaver. The thing about Weaver is he throws slow. For Houston’s young hitters, if they remain patient, they should crush him – if they are over-agressive Weaver could make them look bad. I’m going with Houston and you should consider stacking guys like: Springer, Marisnick, Altuve, Gattis, Grossman and Conger. To play our #FreeRoll on DraftKings just click the picture below. After some raving reviews, we have decided to extend our “Full Monty” reporting for the remainder of the NBA fantasy season. 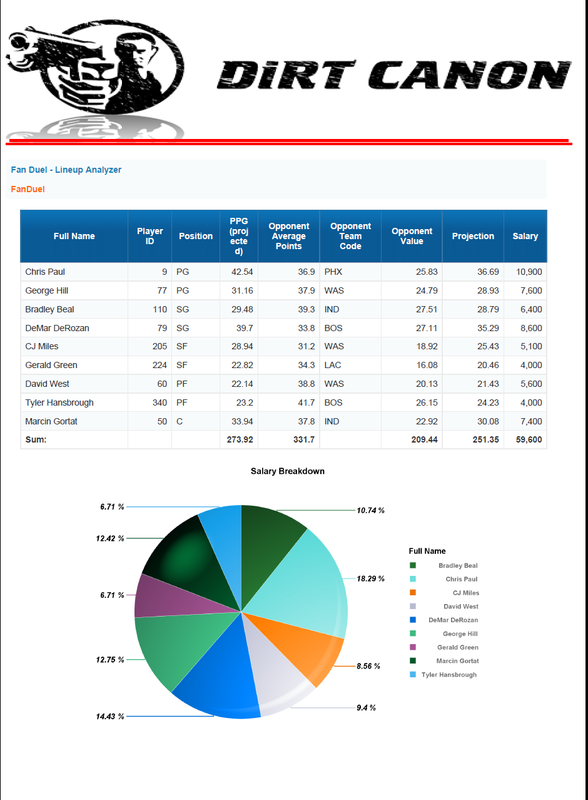 These are the top 5 reports we send to members with our daily recommendations and personal analysis. 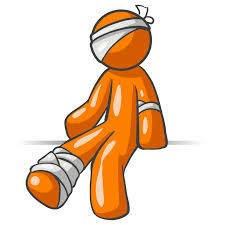 Contact us – help us, help you. Give us feedback on the kind of reports you want to see in your membership package. We are here to help you with all of your salary breakdown, player analysis, rankings, projections, must-haves, sleepers and notable questions. The Fan Duel Daily Rankings provides an in-depth analysis of each player in terms of who you need to look at within our Must Haves, Notables & Sleepers sections. 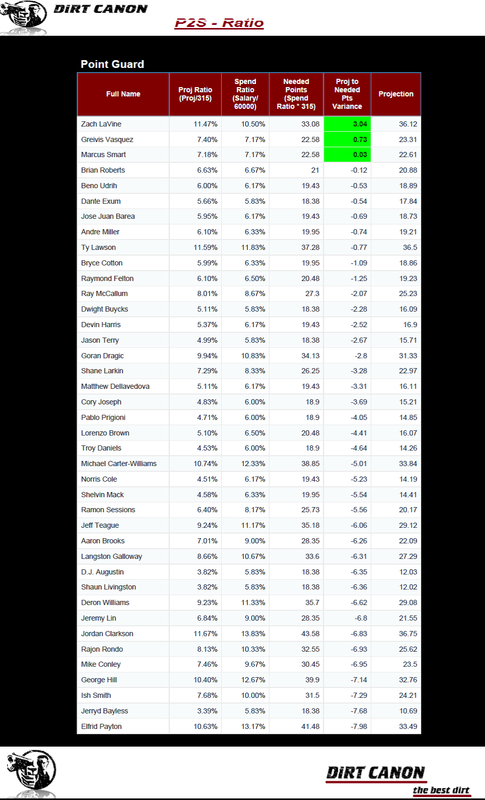 Click FanDuel_Daily_Projections for the full report. As you can see we project Russell Westbrook to be the highest projected player on Fan Duel. To provide you with some detail and how to best utilize this information here are some things to consider. 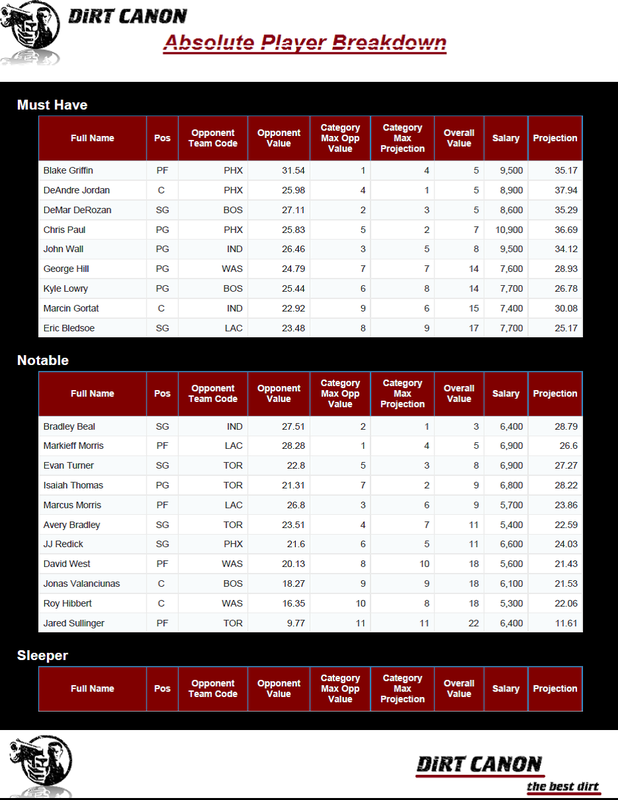 Our Must Haves section is simply the highest projected player for each position. It is important to note that a player cannot be located in more than one category. Moving onto our Notables section. This section is defined as having only players with a salary between $5,200 and $8,000 where that player’s opponent’s average fantasy points per game against, per position is the highest for tonight’s matchup. Last we have our Sleepers section. In this section we simply provide you with the highest projected player with a salary under $5,200, for each position. 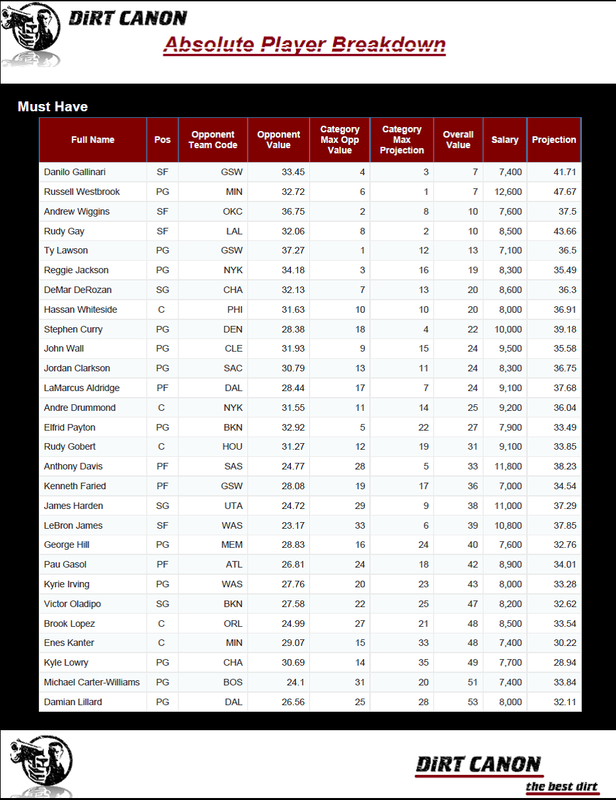 The Absolute Player Breakdown will analyze players within three salary ranges. The ranges are $7,000 and up, $5,200 – $6,900 and under $5,200. Click FanDuel_Absolutes for the full report. Within each of these ranges we rank the opponent of that player as it pertains to the fantasy points that opponent has given up over the last 5 games, to that players position. We then rank our projection for all players within that given salary range. We add these two elements together and we get our overall rank of players within these categories. The lowest score in that column provides you with the highest rated player within each of these salary ranges regardless of position. This information is best used to identify your first three players. 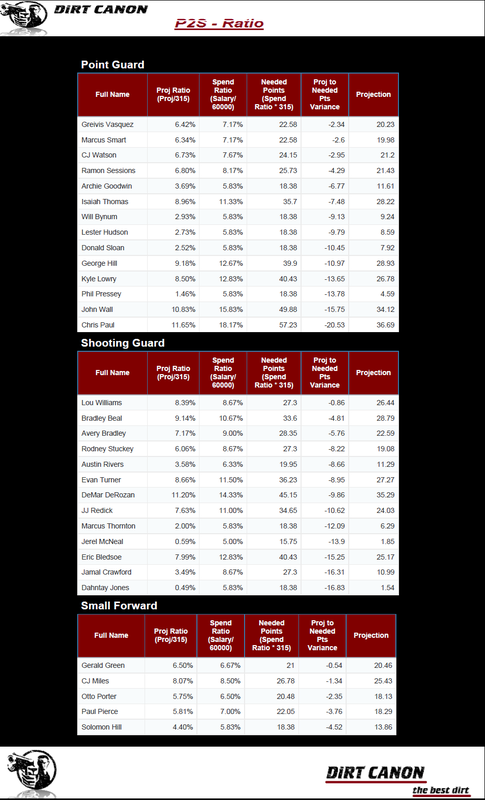 You can then come back to this report after using the daily report to find other players within each position in order to evaluate players with similar salaries in order to determine not only projection but the matchup they have tonight. The Salary Breakdown report will breakdown players within a subset of salary ranges that we have identified for salary cap purposes. 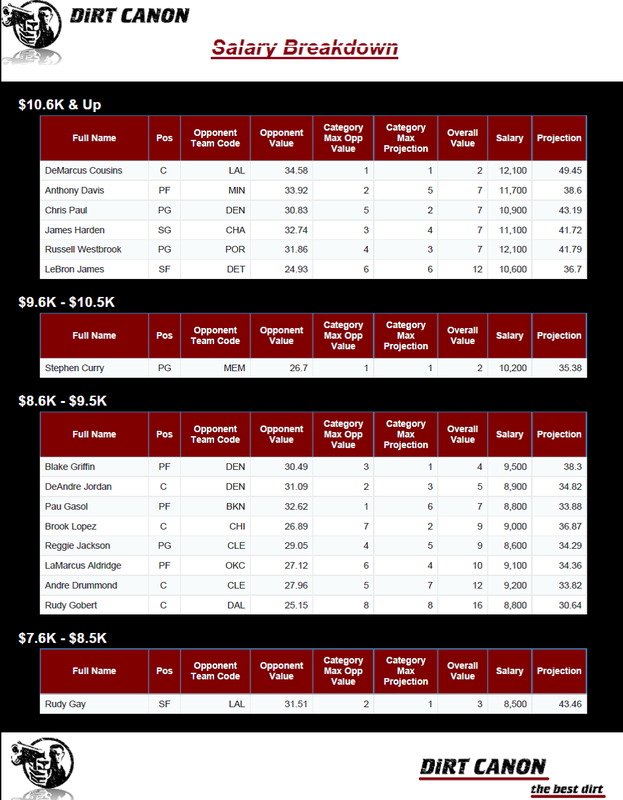 This breakdown will further allow for you to analyze players as you look to fill in those final slots of your lineup. 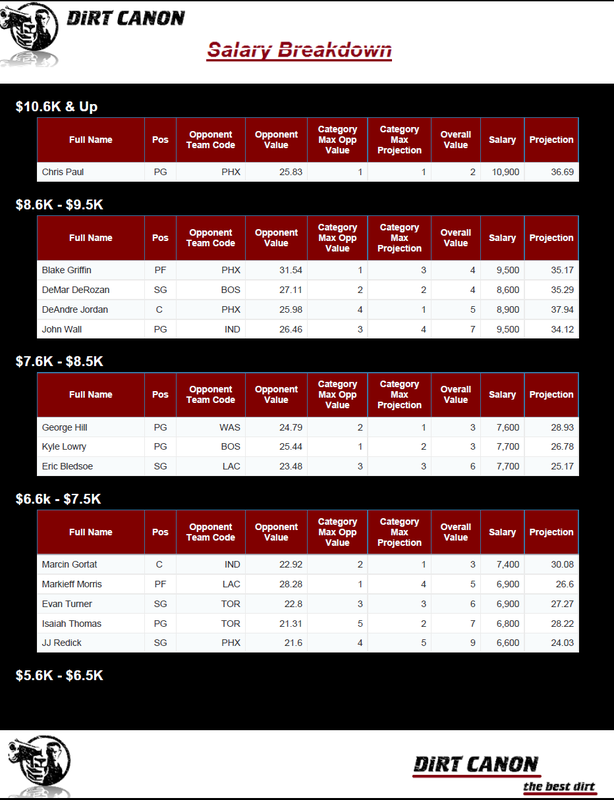 Click FanDuel-Salary-Breakdown for the full report. An example of the best method for use of this information is when you are stuck with trying to fill your last spot. Say it is comes down to finding a player that can be no more than $6,000. You already have a SG that is $6,000 and now you need a SF for $6,000. You would use this information in order to identify players in that price range that have the best matchup and projection for tonight. You might find a player that is $5,700 that has a better matchup and projection for your current SG that was $6,000 in order to get the best valued player at SF that cost $6,300. This also gives you the ability to find players that have lower salaries that you should consider due to upside potential, projection and matchup. Our trademarked projection to spend metric is one our secret sauce elements in determining players for NBA fantasy. 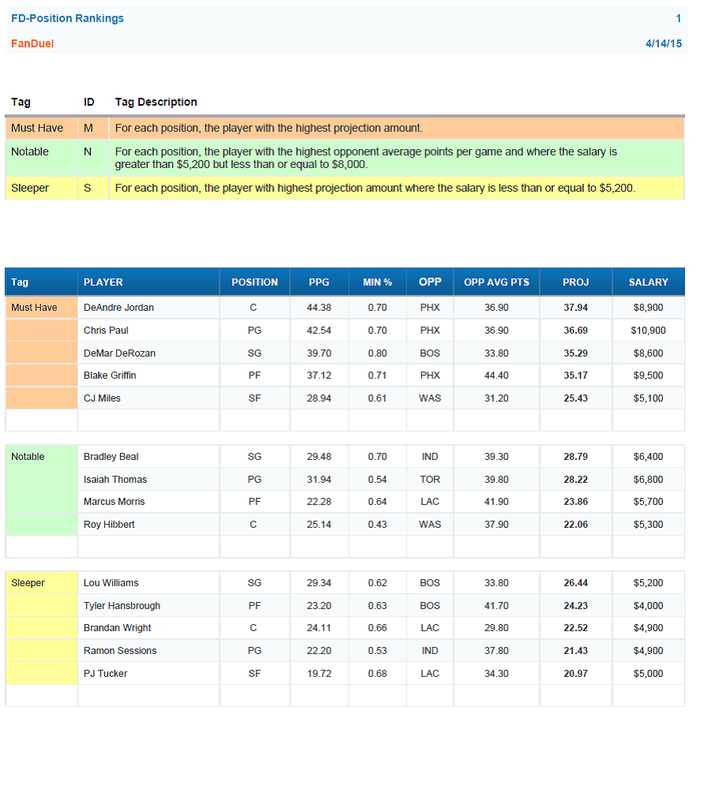 This report will analyze the assigned salary, needed points that player will need to have in order for his value to meet or exceed his cost while identifying players that you need in order to hit that goal of 315 points overall. 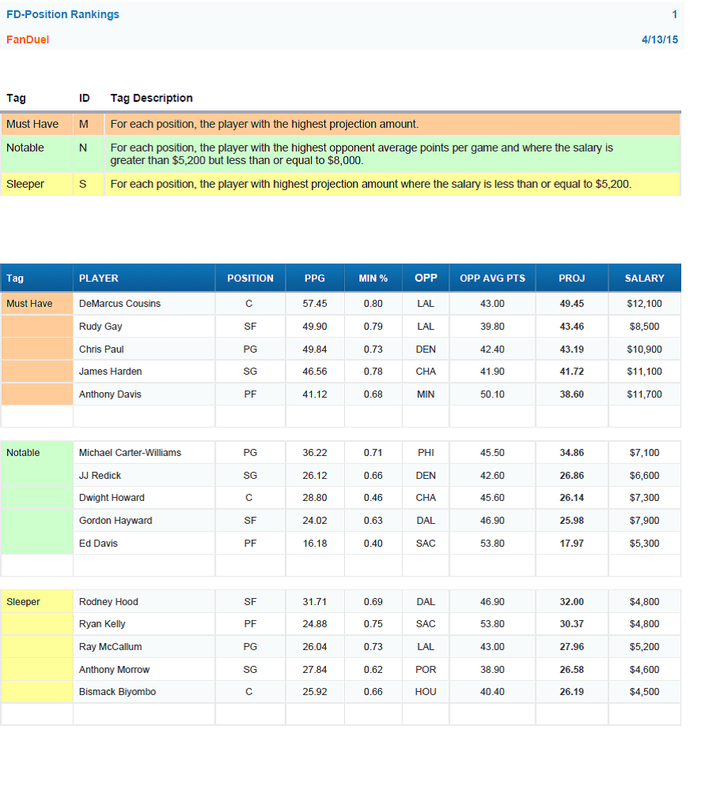 Click FanDuel_Projection2Salary for the full report. This is simple, the highlighted green elements have done the math and analysis for you. These players have been identified as being players where their projection meets or exceeds the required fantasy point output that they need in order to be of value for your lineup. When a player is close to 0, even if they are slightly under, they are ones that you should be looking at to fill in your lineup as they will outperform the required point total they need. For example, if you are going to spend $5,200 on a player and he is highlighted green within this report, that means this player is worth at least spending $5,200 or should cost more based on the expected output of that player. For players that are at the bottom of this report, per position, it will identify players that simply cost too much for what they need. If you have been watching we have been notifying you that once players reach a certain salary threshold, they are no longer worth having because the needed fantasy score is insurmountable. Take Westbrook, he costs $13,300. You need to score 315 to cash in 88% of tournaments on Fan Duel. That means Westbrook would need to score 69.3 points in order for your spend of $13,300 to be worth it. 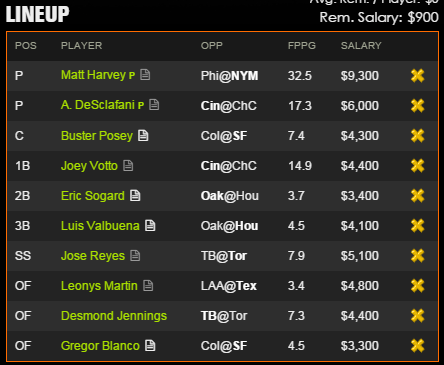 This information is used in order to analyze the expected outcome of the lineup that you are looking to play tonight. Some of the key elements to review for your lineup are the overall projections, the ppg and the opponent value. 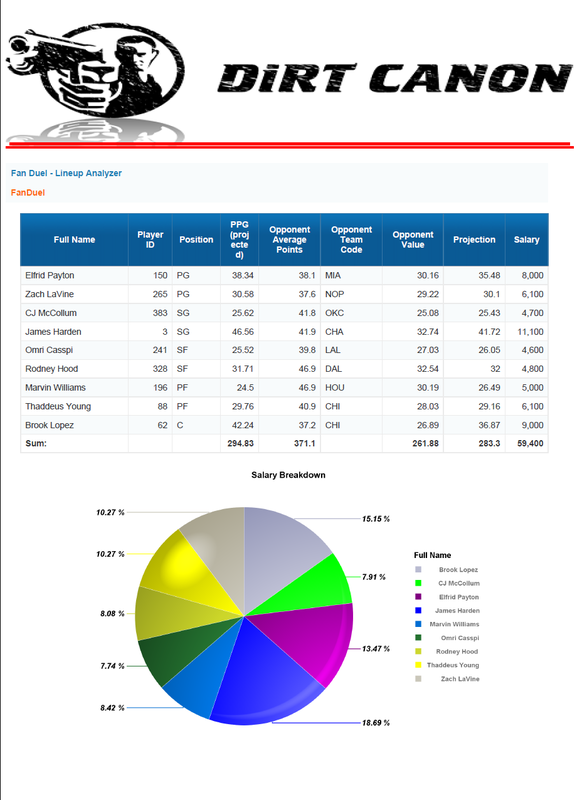 Projections – Custom algorithm using all statistical categories as well as opponent to determine the projected point total based on projected each statistical category for each player. PPG – This is that players average fantasy points per game for that specific gaming site over their past 5 games. You can find the season average within each site but those figures can be deceiving. We have determined that the last 5 games allows for you to uncover who’s hot, who’s not and who’s coming on. Opponent Value – This is a custom metric where we look to provide you with the overall fantasy points that the opponent of that player for tonight’s games multiplied by that players last 5 game average minutes played. So we take the minutes that player has been playing and apply that to what their opponent gives up in terms of fantasy points per game to that players position as it is listed with that gaming site. Each of our top 5 lineups for Fan Duel are listed below. 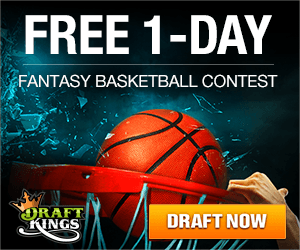 I am providing you with the same set of information for DraftKings NBA fantasy games below. Please note, the only difference is that DraftKings has a slightly different scoring system that is already encompassed into each report and player breakdown including projections. 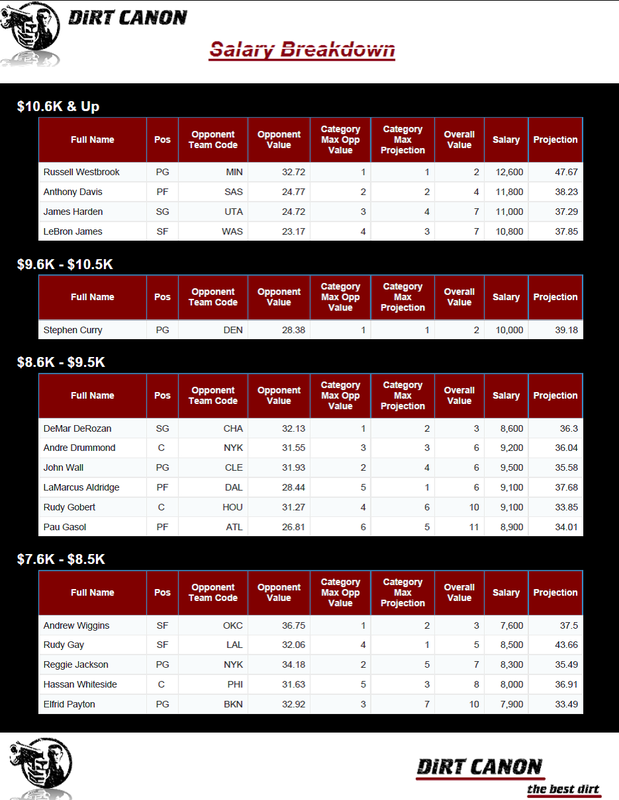 Just click the link for each report, analyze the information and put your lineup in tonight. We are offering a Free Roll tonight on DraftKings just click here to be taken directly to the contest. If you would like for us to analyze your finalized lineup prior to tip-off you will need to contact us and submit your lineup and we will run the lineup anlayzer report that we have provided herein based on a lineup we have put together. We will also provide any recommendations, based solely on the data, for any players that have been identified as higher projections or more likely to have better production for smaller cost. Below are the links to each full report for DraftKings, click the banner to go directly to the contest & Win Ca$h! Follow us on twitter @TheDiRTCanon as we look to provide injury updates throughout the afternoon and leading up to tip off. For baseball tonight, we have 9 games – you’ll notice that the matchup to stack is the TOR/TB matchup – that’s because Erasmo Ramirez is a tomato can of a pitcher. We are going to break down a few games with the matchups – and finish it off with the highest projected player by position. As you can see we project DeAndre Jordan to be the highest projected player on Fan Duel. To provide you with some detail and how to best utilize this information here are some things to consider. The Salary Breakdown report will breakdown players within a subset of salary ranges that we have identified for salary cap purposes. 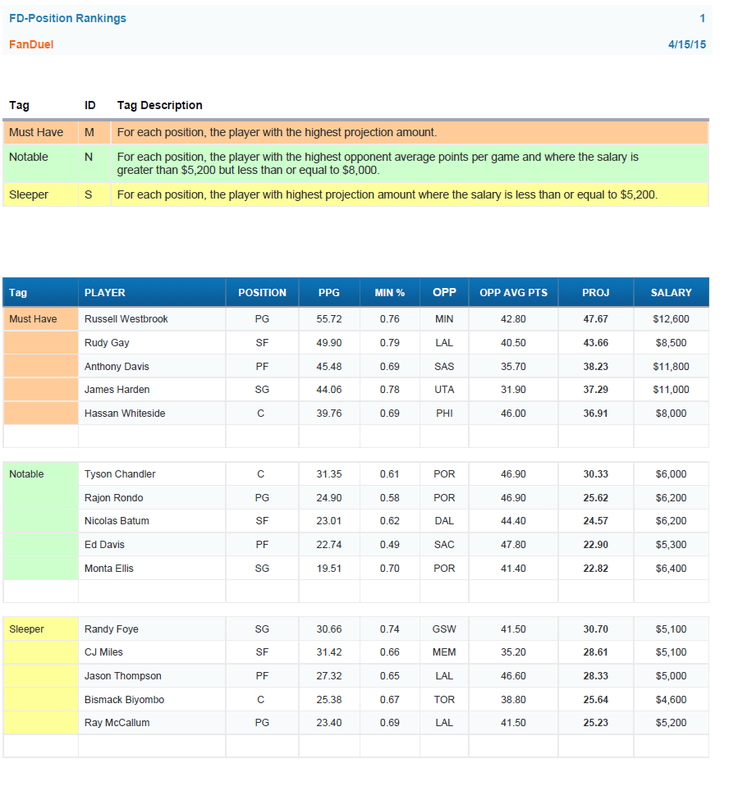 This breakdown will further allow for you to analyze players as you look to fill in those final slots of your lineup. 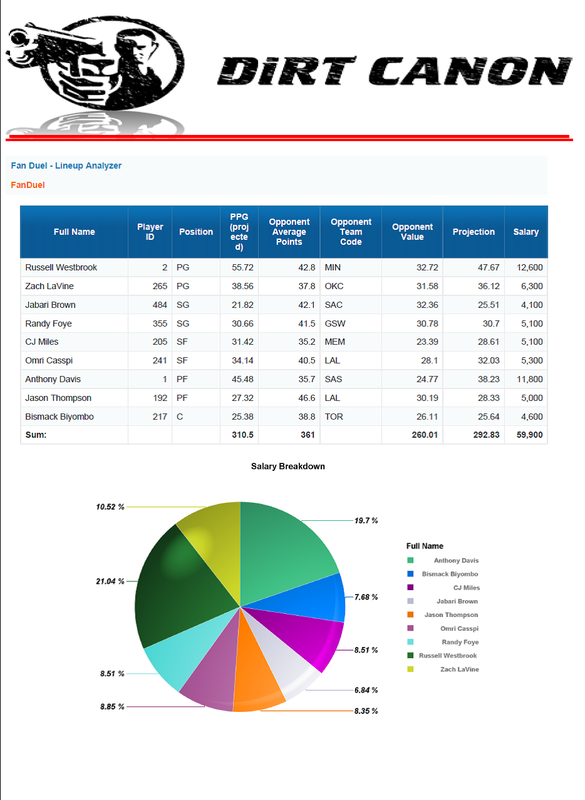 Click FanDuel_Salary_Breakdown for the full report. Amir Johnson – GTD and probably won’t play as such look for Tyler Hansbrough to get the start again. As you can see we project Russell Westbrook to be the highest projected player on Fan Duel with DeMarcus Cousins out again tonight. To provide you with some detail and how to best utilize this information here are some things to consider.